DEMOLITION day has finally arrived for the former Bradford and Bingleyheadquarters, which is being torn down to the delight of local people. Powerful hydraulic jaws at the end of the wrecking machines’ arms are dismantling the concrete walls and removing huge steel structural beams with near surgical precision. “I’m so glad that after all the talk and all the waiting we finally have action,” he said. 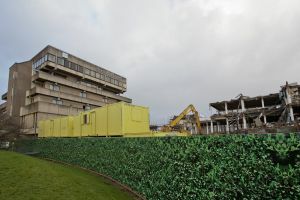 “Sainsbury’s said they would begin work in the New Year and that’s what they’ve done and you can already see a clear gap between the two parts of the old building,” Mr Martin said. Reverend Canon Beverley Mason of All Saint’s Church, Main Street has campaigned for removal for the building she described as “casting a sad, dark shadow” over the town. “It’s great, I haven’t managed to get along and see it coming down yet, but I definitely will,” Rev Mason said. 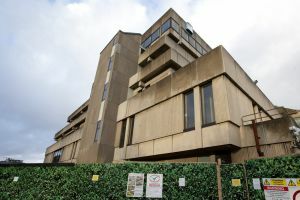 The end result was explained in the planning application for permission to demolish the building – whose strange, staggered design was intended to represent the nearby Five Rise locks on the Leeds and Liverpool canal. “Materials will be used on site to backfill the basement areas where environmentally safe to do so, be processed for sale, or be taken to landfill,” the application stated. 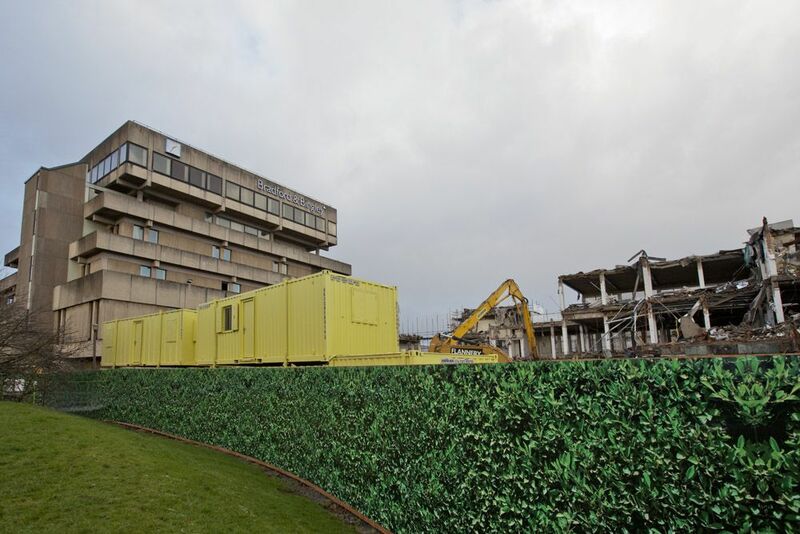 “Restoration of the site will include backfilling the basement areas with crushed materials, leaving the site level and free of any concrete risings and contaminants. 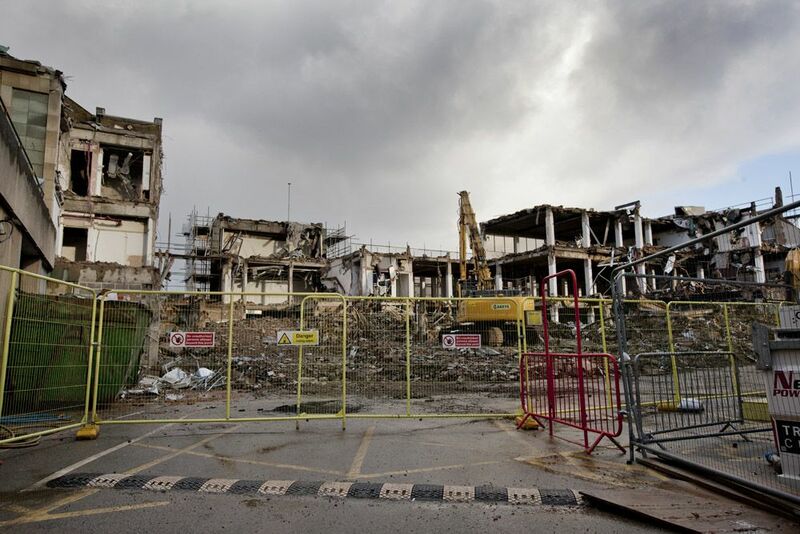 Rob Kendon, Sainsbury’s Project Manager, said: “We’re really excited to see the oldBradford & Bingley building on Main Street coming down. Demolition inside the building has been ongoing for some time now but it’s fantastic that members of the local community can now see progress being made.